As South Africans prepare to vote on May 8, they will survey the promises, ideologies and track-records of the various parties and the candidates they are fielding for election. By and large, they will find little evidence in our politics of what Pope Francis calls a “noble activity”. To the pope, and his predecessors, politics is a “high form of charity” that serves the common good. While there certainly are politicians of integrity and good character even in South Africa’s chronically corrupt politics, the public will be more familiar with a low form of “charity”, in which the beneficiaries are the politicians themselves, their allies, their funders, their families and their friends. Especially coming off a kleptocratic regime which plundered South Africa with impunity for nine years — and with the prospect of some of these economic saboteurs returning to sit in parliament instead of jail — the Holy Father’s notion of nobility in politics will be lost on many South Africans. But in defining politics as a noble vocation, the pope is encouraging us to purify our parliaments and councils of those who negate that nobility. In this way he also calls on politicians to reform themselves in their vocations as public servants. What would the ideal Catholic-minded politician look like? The perfect Catholic politician, if there could be such a thing, would be a true servant of the people he or she was appointed to represent and serve. Perfect Catholic politicians would be profoundly concerned with issues of social justice and peace, among the citizens they serve and among nations. Perfect Catholic politicians would be profoundly concerned with issues of social justice and peace, among the citizens they serve and among nations. They would strongly resist elective military action, placing dialogue and negotiation before acts of belligerence. They would exercise a preferential option for the poor, and oppose unwarranted spending on armaments or unnecessary projects. They would be, by inclination and in practice, solidly pro-life and pro-family. They would seek to protect all human life from conception to natural death. Perfect Catholic politicians would regard policies and practices that mutilate the environment as an affront to God’s creation, and take action accordingly. They would stand up to corruption, nepotism and political deal-making. They would take the good fight to businesses which exploit and defraud the people by acts such as price-fixing and other forms of collusion. They would defend the right of workers to strike for a fair salary, but also safeguard the people from the effects of undue excess in industrial actions. They would exercise their faith in the Gospel within a political ministry, independent of secular ideology or party line. In their private lives they would always strive to be models of integrity. And they would do all that without compromising their obligations to their constituents, not all of whom may be Catholic. Such a politician is rare. Certainly, within systems of direct representation — such as those in the United States and Britain — they would find it difficult to be elected, or perhaps even to raise the requisite funds to fight an election campaign. And because such a politician would not tolerate corruption, incompetence, mismanagement and other characteristics of the modern politician, but act with an independent sense of virtue, he or she would probably not be in the mainstream of popular parties — even as the members of these parties and the public may cry out for ethical leaders. But, as Pope Francis told Latin American politicians in 2017, there is a clear need for leaders who passionately serve the people. 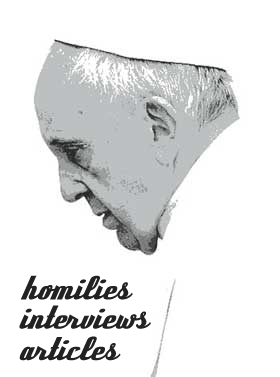 There is a need, the pope said, for political leaders who are in solidarity with the people’s sufferings and hopes, who “put the common good before their private interests, who don’t let themselves be intimidated by the great financial and media powers, who are competent and patient in the face of complex problems, who are open to listening and to learning in a democratic dialogue, who combine the quest for justice with mercy and reconciliation”. We must support such leaders, and reject those who clearly are in it only for themselves.